When the lovely people at Pooch & Mutt heard we had a new puppy here at Kick Back Travel they sent us some treats for him to to try. 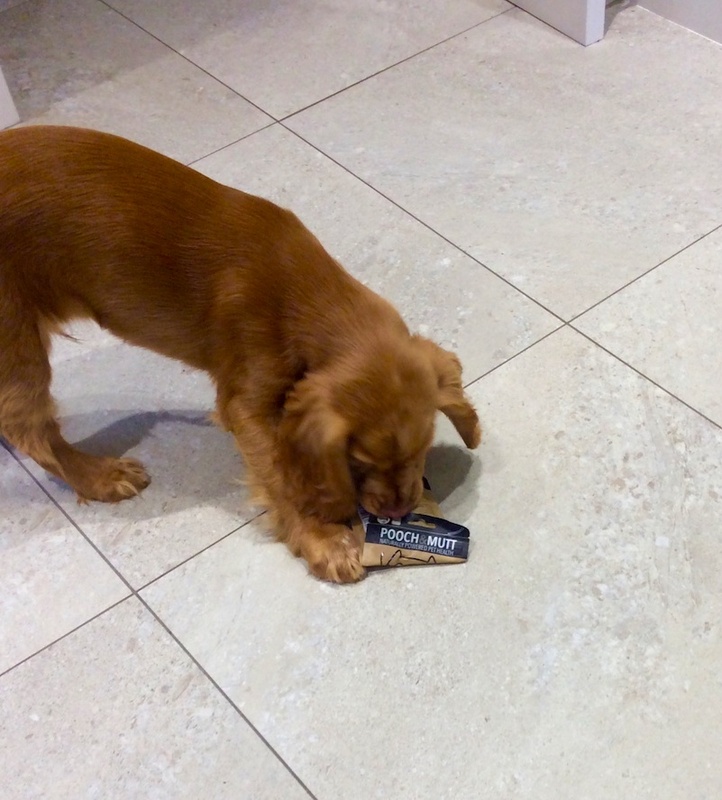 As you can see from the picture above, Barney immediately took a liking to (and possession of) the contents of his appetizing parcel! 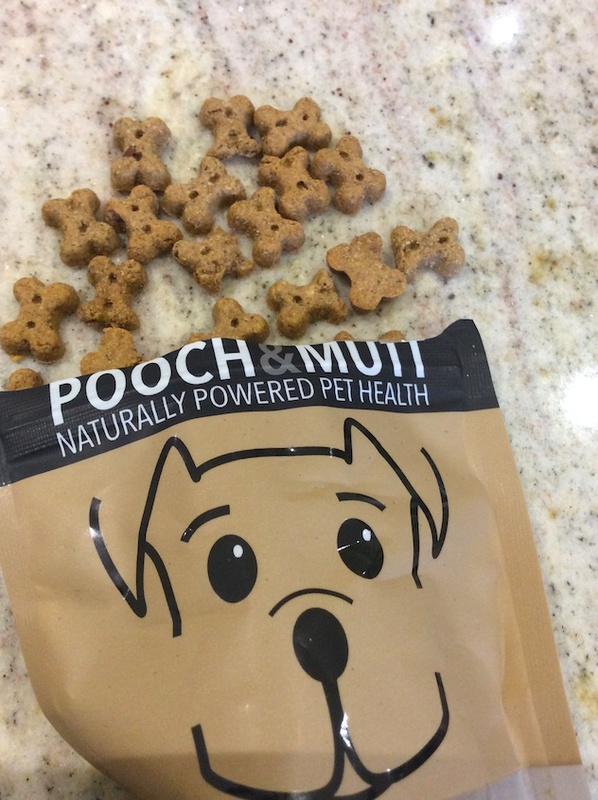 Pooch & Mutt are a UK company that produce natural grain-free foods, treats and supplements, all about improving the health of your dog. 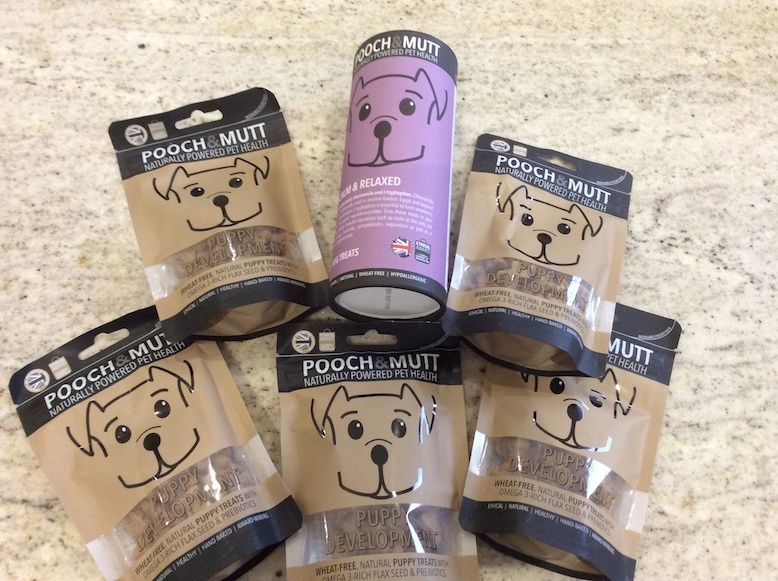 They’re ethically-approved and they’re kind people too – matching donations to what rescue centres buy (so if a centre buys 10 bags of pooch food, they supply a further 10 bags free) and if any particular dog is in desperate need of a particular supplement they provide it free of charge. We like. We also like the cute look of the mini-bone shaped treats. Well, that’s just us. We love little detailed touches! 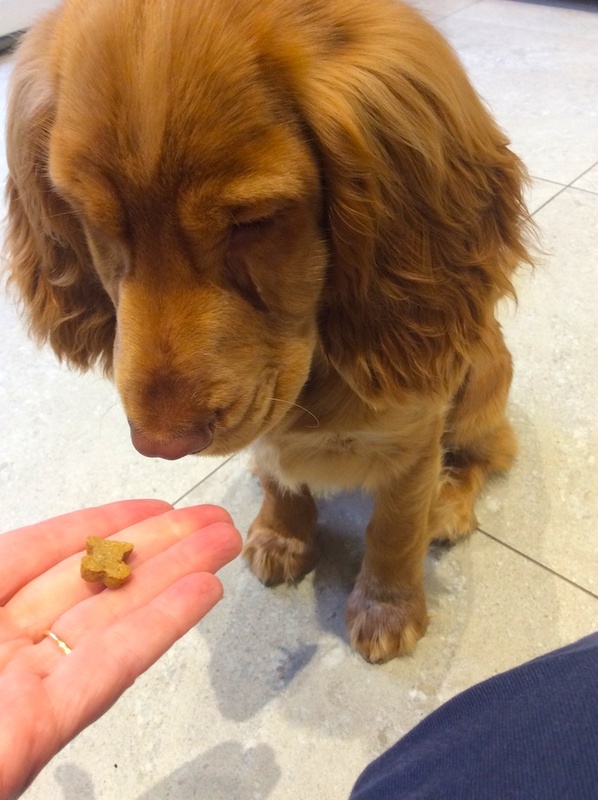 Barney got to try Pooch & Mutt’s Puppy Development treats – a mix of chicken, chicory (a natural prebiotic to help ease digestion plus linseed (a natural source of Omega 3 which is great for brain development and memory) so should help with Barney’s trainability. We think it’s doing the trick – just look at him obeying the ‘leave’ command in this pic, below! …oooh…I can’t wait much longer! Next to try was the Calm & Relaxed tube of treats. They’re a mix of lamb, chamomile (known for its relaxing properties – who doesn’t like a cup of chamomile tea?) and L-tryptophan (the science bit? It’s an amino acid involved in the production of serotonin, the ‘feel-good’ neurotransmitter which does what it says – helps make you feel good.) What a great idea these are! 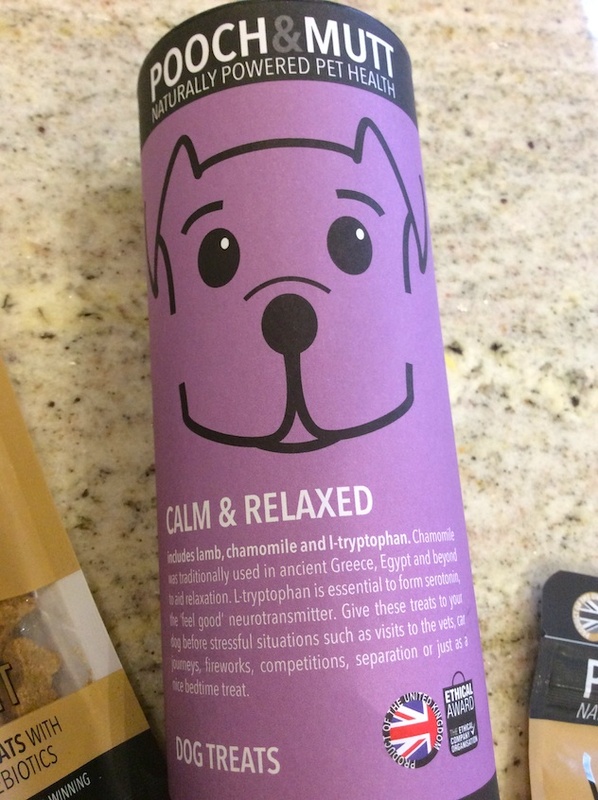 Designed to give to your dog before a stressful situation – the vets, or a long journey. We’re going on our first hotel with Barney soon, so these will be coming in the car with us! Meantime, he’ll have a few tonight to help him get a good night’s sleep! 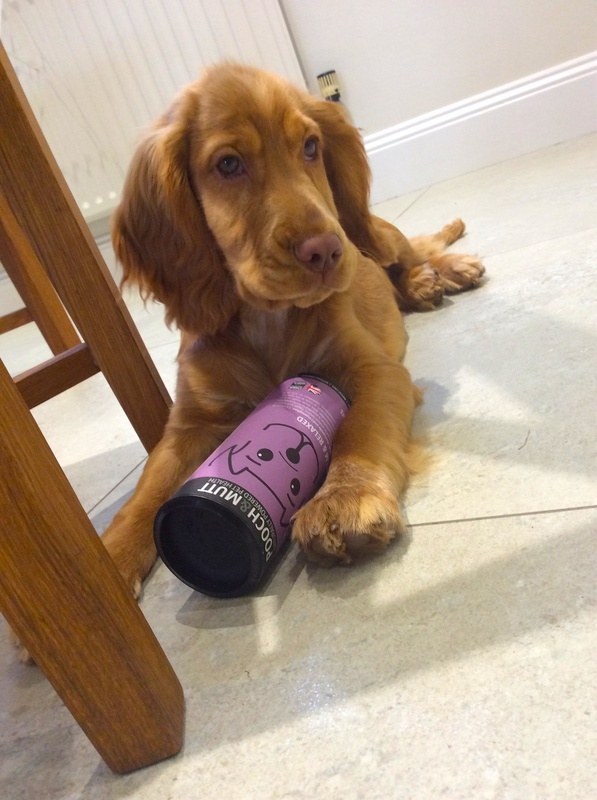 Pooch & Mutt get Barney’s Bark of Approval!